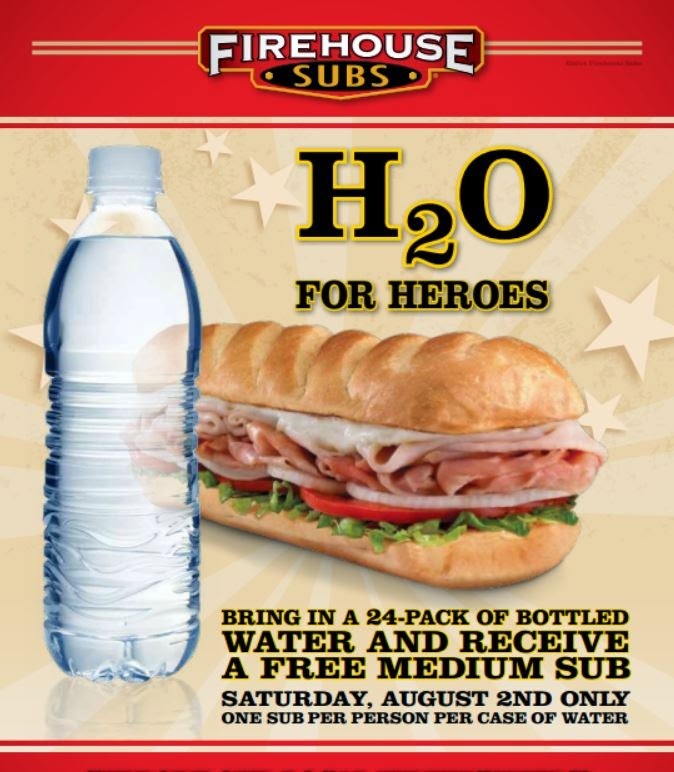 ALBUQUERQUE, N.M. -- Firehouse Subs is hosting its first annual H20 for Heroes program on Saturday, Aug. 2, at all Albuquerque restaurant locations. To cut the heat and sub cravings, the restaurant invites the community to donate one case of bottled water in exchange for one FREE medium sub*. The bottled water collected will be distributed to local fire departments through the H20 for Heroes program. As New Mexico is experiencing a fourth consecutive drought with 86 percent of the state in severe to exceptional drought conditions, water is considered a life-saving tool**. While this initiative represents the efforts of a local owner, the Firehouse Subs brand is familiar with giving back. Since 2005, the Firehouse Subs Public Safety Foundation® has donated more than $23,964 worth of resources to first responders and public safety organizations in Albuquerque and $10.1 million nationwide. Past H20 for Heroes programs in the state of Arizona alone have raised more than 2,000 cases of water through this one-day event. *Case of water must contain 24 bottles. No purchase necessary. One sub per person, per case.